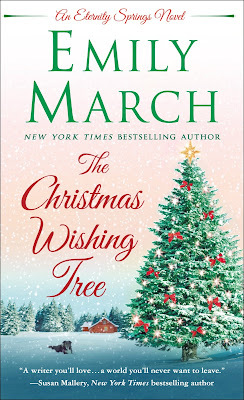 The Christmas Wishing Tree was the perfect way to gear up for the holiday season, leaving me with a happy heart and firm belief in the magic that Emily March has created in Eternity Springs. This book focuses on Devin and Jenna, two people who don’t reside in Eternity Springs but find themselves in need of the comfort and healing it provides. 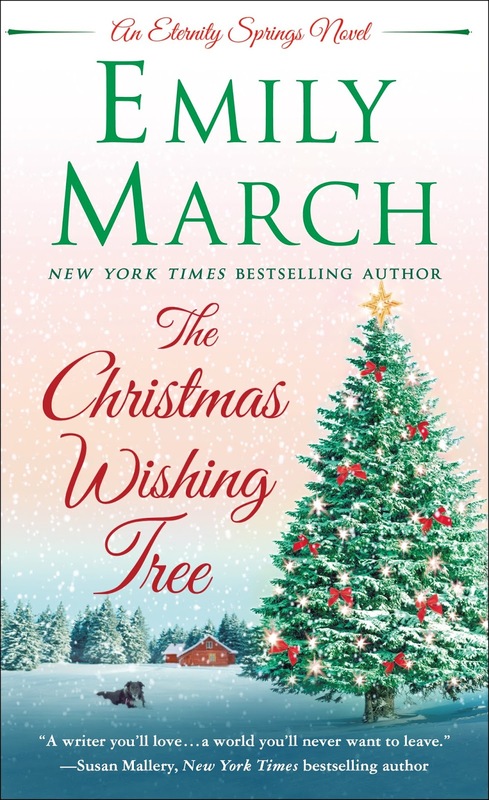 And it wouldn’t be Eternity Springs if Celeste didn’t also add in a bit of her magic and wisdom, which helps these two find their way to one another – who knew a burner cell phone with a number advertised as the Santa Hotline would start a chain of events that would lead Jenna and Devin right to each other and fulfill a child’s ultimate Christmas wish?! And even though their road to finding one another was not easy, Eternity Springs provided all the right support for Jenna, Reilly, and Devin, as they unraveled the mystery of Jenna’s stalker and find a way to become a family. 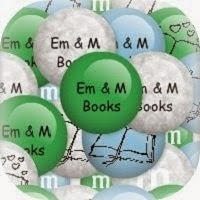 Emily March has such a way of embedding true emotion into each of her characters. We are treated to glimpses of many of the residents of Eternity Springs, and each one has been brought to life with their own unique personality and character, guaranteeing that each story in this series is one that will warm your heart and renew your belief in true love. The little details that she also adds to the story, like the Christmas Wishing Tree, and her ability to convey that family feeling the entire town has, adds to the warmth of the story. This is book 15 in the series but can easily be read as a stand-alone. 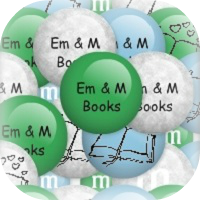 When needed, the author gives enough background to each of her characters to ensure continuity of the story line – but let me warn you, she’ll also give you just enough to make you want to go and read them all! So even though you can read this on its own, I would recommend starting at the beginning so you can enjoy each book in the series – something I wish I had done! I can’t say enough about this series – Eternity Springs has quickly become one of my favorite small towns and I have fallen in love with Emily March’s writing style and voice. I look forward to reading more from this author! A definite must read for everyone! I voluntarily reviewed a copy of this book I received from the Publisher via NetGalley.